Yet for decades, it was a game denied to them for most of the year. The Arctic cold and scarce daylight made outdoor turf football impossible for eight months of the year. Most coaches were enthusiastic parents, and most pitches were rough gravel tracks that would take all the skin off your legs if you went down. Hallgrimsson shows us the pitch he grew up on in Heimaey. Goals with no nets. No markings on the pitch. It is the most basic footballing infrastructure imaginable. In the early 1990s, Norway started building full-size indoor football pitches in the north of the country. The Icelandic FA sent a delegation there to investigate, and returned with its grand idea: a heated indoor “football house” in every town in Iceland. The timing was fortunate. The economic boom had fuelled massive bank lending. Huge loans were available for infrastructure projects. The first football house was built near the airport at Keflavik in 2000, and over the next few years seven full-sized indoor arenas and hundreds of smaller all-weather pitches sprung up. There is an artificial pitch next to every school in the country. One of the clubs to benefit was Breidablik, in the southern suburbs of Reykjavik. They built the country’s second football house in 2002, and now it has the most comprehensive youth setup in Iceland. A constant stream of taxpayer-funded minibuses rolls up at the entrance to bring kids – some as young as three – to training. They train 11 months of the year, up to six times a week. Multiply the success of Breidablik by seven or eight, and you have yourself a golden generation: a group of players who are not only the best technical footballers the country has ever produced, but who have all come through the same system. Four of Iceland’s Euro 2016 squad came from Breidablik, including Charlton’s Johann Berg Gudmundsson and Swansea’s Gylfi Sigurdsson, the team’s best player. The current generation is the only one to have experienced both worlds: the character-building gravel pitches and the indoor greenhouses. Sigurdsson developed his toughness on frozen pitches in sub-zero temperatures and only spent a couple of years in the indoor halls before moving to Reading. The question is what happens when you get the first batch of kids who have known nothing of the old ways. The optimistic view is that the late ‘60s crime tsunami, which ended in the mid-1990s, was sui generis, and we are now in a period of “permanent peace,” with low crime for the foreseeable future. Pessimists rely on the late Eric Monkkonen’s cyclical theory of crime, which suggests that the successive weakening and strengthening of social controls on violence lead to a crime roller coaster. The current zeitgeist favors a weakening of social controls, including reductions in incarcerative sentences and restrictions on police, on the grounds that the criminal-justice system is too racist, unfair, and expensive. If Monkkonen were correct, we will get a crime rise before long. Optimists point to the absence of factors that brought on the 60s crime boom: no immigration or migration of high-crime populations, no demographic upsurge in the youth population. They might also add: continued movement of minorities to the middle class, and no drug epidemics (like crack cocaine) among poor populations, which generate spikes in violent crime. There is very little violent crime and none of the visible bulwarks of authority that we quickly become accustomed to in bigger countries: police, soldiers, traffic wardens, security guards. Instead, authority is more collective and understated. With no real class system, Icelanders more or less look after themselves. Multitasking is something of a national tradition. Goalkeeper Hannes Halldorsson is a filmmaker who directed the video for the country’s 2012 Eurovision Song Contest entry. The current mayor of Reykjavik is a doctor and the guy before him was a stand-up comedian. And unlike Roy Hodgson or Antonio Conte or Joachim Löw, [national team coach] Hallgrimsson holds down a part-time job as one of Heimaey’s two dentists. Assimilation, absimilation: If you let great numbers of foreigners settle in your country, you will surely get both. Mateen Senior, first name Seddique, became a naturalized citizen in 1989 after coming to this country from his native Afghanistan in the early 1980s. I haven’t been able to discover what kind of visa he came in on. The leading possibilities are: (a) he came as a refugee, via the United Nations and our own State Department, or (b) he was performing some service to the U.S.A. against the Soviet forces then occupying Afghanistan, or (c) some close relative of his — or some person he persuaded to swear he was a relative — was performing such services, or was a refugee, and Mr Mateen got in on the family-reunification boondoggle. It wasn’t likely an employment visa. Mr Mateen has been making a living selling life insurance since 1991. I don’t recall there being any critical shortage of life-insurance salesmen in the early 1980s. Bearing in mind possibility (b) above, it’s possible that Mateen, Sr. risked his life to assist the U.S.A. with policy objectives in Afghanistan. This was the Cold War, remember; and as I remind younger listeners and readers, the Cold War was a very big deal, with nuclear annihilation in play. The Mujaheddin fighting the Soviets in Afghanistan were our allies. Islam was not at that point committing acts of homicidal lunacy in Western countries. So it’s possible that Mateen, Sr.’s admission to the U.S.A. was justified even by the very strict Radio Derb standards — which, just to remind you, would allow permanent settlement to spouses and dependent children of U.S. Citizens, certified geniuses, persons who’ve performed some meritorious service to U.S. policy goals, a few Solzhenitsyn-type high-profile dissidents, and nobody else at all. Prior to 1978, only about 2,500 Afghans lived in the United States. Between 1980 and 1996, more than 32,000 were admitted as refugees, along with 40,000 under regular immigrant visas, most as part of the family reunification program. That’s 72,000 Afghans, exceedingly few of whom, I imagine, put their lives on the line for U.S. policy goals under the Soviet occupation. And it goes without saying that of those 32,000 refugees from the Soviet occupation, very few — quite possibly none at all — returned to Afghanistan when the occupation ended in 1989. “I’ve nothing to conceal,” replied the Cimmerian. “By Crom, though I’ve spent considerable time among you civilized peoples, your ways are still beyond my comprehension. “Good enough,” readily responded the Cimmerian, sheathing his sword. I noticed the headline recently that erstwhile child actor Elijah Wood had confirmed that the Hollywood upper echelons are rife with sexual depravity directed at children — drawing parallels with the revelations concerning Jimmy Savile as the focus of the same kind elite network/ conspiracy among the British Establishment at the BBC and other mass media, Government, the Royal Family, and apparently the legal system and senior police. There are also sporadic revelations of the same kind of thing scattered around the world elites more generally — enough to make a pattern — and a much more pervasive tendency among the dominant powers to excuse, de-prioritize, minimize, cover-up and forget this type of thing. We have to join the dots here; and notice that the focus of activity seems to be on the means of mass communication — those jobs where people have influence on public opinion both directly (the hard sell via laws, regulations and advocacy) and (more insidiously) implicitly and covertly via subtle messages and denigration of the opposition and resistance (especially among serious Christians). It looks very much as if ‘the world’ is being run by a small and powerful and extremely-strange group of people who are distinguished from ‘normal’ people by their positive and active attitude to what is regarded among the mass of ordinary and even wicked people as beyond-the-pale and the most depraved activity of all. For example, even among the most hardened and horrendous British criminal prisoners, such people are regarded as the lowest of the low. (Leading to the apparent-paradox that the highest-of-the high are morally the lowest-of-the-low; as was the situation with the Roman Emperor’s court under Tiberius when Jesus was born — and even more so with his successors Caligula, Claudius-Messalina and Nero.) Indeed, so rare and peculiar is this type of depravity that it appears to be substantially a calculated act of ultimate self-degradation and celebration of absolute evil: the kind of thing which seems to be a deliberate strategy of corruption of one’s own soul. If so, we would be very wrong to regard the international elites as well-meaning but misguided/ incompetent — or indeed as being motivated by any of the ‘normal’ types of sinful human appetite such as greed and lust; we seem to be up against a group that are altogether more purely evil than this. The obvious rejoinder is that if the world is ruled by such grossly wicked people, then why aren’t things much worse, and more obviously worse, than they are — given their power, why don’t they just implement evil by diktat? My understanding is that it is the nature of the human condition that Men must invite evil into their hearts for evil to gain dominion. For evil to triumph, making people do evil things by coercion or incentives is not enough — people must be made to want evil. They need to be induced to embrace ‘moral inversion’; embrace evil as good. And this is altogether a trickier and more long-termist project than mere destruction of The Good — which will often induce a powerful opposite reaction. And if it is desired to create a situation in which people choose to regard evil as Good — then clearly the means of mass communication are precisely where you most want to work — to make it such that the very imagination is subverted then inverted. It all makes a horrible kind of sense that the BBC and Hollywood have emerged as foci of this depraved sexual cultus — albeit the tip of an iceberg extending to embrace so many of the Western and Westernized ruling elite. These cars are very inexpensive. A Renault Kwid, for example, can be had for under $4000. 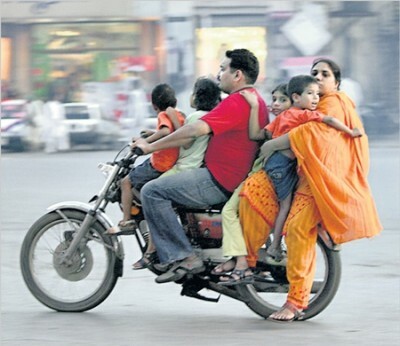 In the Indian market these cars are competing against motorcycles. Only 6 percent of Indian households own a car but 47% own a motorcycle. Overall, there are more than five times as many motorcycles as cars in India. Similar ratios are found in the UK and Australia. I can think of several reasons why the ratio might be lower in India–lower speeds, for example, but also several reasons why the ratio might be higher (see picture). Black exposed spots on the film, or “fogging,” had rendered it unusable. This perplexed many Kodak scientists, who had gone to great lengths to prevent contaminations like this. Julian H. Webb, a physicist in Kodak’s research department, took it upon himself to dig deeper and test the destroyed film. According to an article Webb would write in 1949 for the American Physical Society, the paper and cardboard used for packaging in the ’40s were often salvaged from wartime manufacturing plants where radium-based instruments were also produced. Radium is a naturally occurring radioactive element that can cause flecks of spots or fogging when “in intimate contact with (sensitive film) for a period several weeks.” During wartime, Kodak took precautions to avoid radium contamination. It moved packaging manufacturing to mills where Kodak had full control over the raw materials. One of these mills was located along the Wabash River in Vincennes, Indiana; it specialized in producing strawboard, used as a stiffener board between sheets of film. When Webb investigated the mysterious fogging in 1945, he found that it originated not from the X-ray film itself but the packaging, which he tracked to this particular mill, and specifically, the production run of strawboard from August 6, 1945. After testing the radioactive material on the strawboard, he discovered — rather alarmingly — that the spots on the film were not caused by radium nor any other naturally occurring radioactive material, but “a new type radioactive containment not hitherto encountered.” What was this unknown radioactive material, he must have wondered, and what was it doing in southwest Indiana? Furthermore, Webb concluded there was no possible way the straw could be the carrier of the containment, since it was stored in warehouses (and not outside) for a considerable amount of time prior to being used. Had the Cerium-141 gotten directly into the straw, it would have decayed by the time the straw was processed, rendering the radiation hardly detectable. This brought Webb to a frightening explanation: The contamination came from the river water. Additional evidence would fall in the rain. According to Webb, “stronger activity occurred in the strawboard” after periods of heavy precipitation, establishing that the radioactive material was being deposited via precipitation and came from a far-flung place. In March 1951, a frustrated Kodak threatened to sue the U.S. government for the “considerable amount of damage to our products resulting from the Nevada tests or from any further atomic energy tests…” Finally the company and the government came to an agreement. The AEC would provide Webb, by now the head of Kodak’s physics division, with schedules and maps of future tests so that Kodak could take the necessary precautions to protect its product. In return, the people of Kodak were to keep everything they knew about the government’s Nevada nuclear testing a secret. They accomplished this by building a formalized ritual that combines initiation (a self-planned attack) and a public pledge (a formal lifelong, irrevocable pledge of fealty to the Caliph), and acknowledgement (redemption, acceptance, and honor). It appears to work. For example, here’s what Omar Mateen said on one of his telephone conversations. Note how important the pledge is to Omar in this public record of the call. The same process was seen a day later outside Paris by an attacker who killed two senior members of the police. With this methodology in place, ISIS has the ability to bypass the security procedures that were effective against attacks from the remnants al Qaeda, and strike US and EU targets. He tried to think a little about the ballerinas. They weren’t really very good — no better than anybody else would have been, anyway. They were burdened with sashweights and bags of birdshot, and their faces were masked, so that no one, seeing a free and graceful gesture or a pretty face, would feel like something the cat drug in. George was toying with the vague notion that maybe dancers shouldn’t be handicapped. But he didn’t get very far with it before another noise in his ear radio scattered his thoughts. By all means, read the whole thing; it’s short. The researchers asked almost 240 men and women under 30 — most 20 to 24 years old — to exert as much force as they could on a hand dynamometer, which measures grip force in pounds. On average, men’s hand strength decreased by 20 pounds, and women’s hand strength decreased by 10 pounds. The culprit? Probably a combination of increased technology use at home and at work, and less manual labor. “As a society, we’re no longer agricultural or manufacturing,” Elizabeth Fain, an occupational therapist and lead author of the study, told NPR. The Luton council estimates that “between 50% and 75% of the population would not have lived in Luton or not have been born at the time of the 2001 Census.” It is now minority white British, and only barely majority white. Most places in Britain are not like Luton, of course. But that’s not quite the point. Anti-immigration sentiment in the U.S. is often found in places that don’t have enormous immigrant populations, and wonks who proclaim this to be irrational seem not to grasp that those people may be looking at the places that have been transformed by immigration and responding with a fervent “No, thank you.” There’s a lot to be gained from globalism, the mixing of two or more cultures into something new. But something specific and local and much-loved is inevitably lost at the same time, and the people who feel that loss most keenly are the inward-looking people who stay in place, not internationalist elites. One of the many things I prefer about being in France to England, along with the superior food, beautiful architecture and even more beautiful language, is their civilised attitude to alcohol — cheap, freely available and not used by the authorities as an excuse to constantly tell the population how horrible and rubbish they are. So on one level the letter by medical experts urging the Government to take “bold action” by bringing in minimum prices for drinks should leave us cold. After all, as Christopher Snowdon points out (after reading his blog about the lies, mania and all around irrationality of the taxpayer-funded health campaigning industry, the term “health fascist” starts to look like an insult to Mussolini), Britain has the third-highest alcohol taxes in Europe. But the major problem with the libertarian argument is that it tries to compare Britain with other countries, and therefore tends to mix up cause and effect. France has a relaxed attitude to drink because it doesn’t have Britain’s alcohol-related social problems (cirrhosis of the liver, yes, but that is less the concern of policymakers than street violence and wife-beating) — it’s not the other way around. Slashing taxes on wine and beer would not make people in Glasgow and Belfast drink like Italians or Greeks. So far attempts to create a more mature drinking culture through relaxing closing-time laws (a maddening and infantilising restriction) have failed to do so. Of course there are nudges that might encourage sensible drinking, such as incentivising people to eat with their alcohol, or to drink in inter-generational groups — although how the state can do this is another matter, beyond more blindingly obvious and patronising advertising campaigns — but it’s unlikely that this would make serious inroads into “booze Britain”. It’s a cultural thing. Or perhaps not, for alcoholism is thought to have a strong genetic component, and the affliction often runs through families. Furthermore rates of alcoholism are known to differ between population groups — no one would suggest that cafés on Native American reservations start serving wine to create a “continental drinking culture” there. Likewise many east Asians are genetically incapable of drinking alcohol without feeling sick. Yet policymakers routinely ignore the likelihood that there is a genetic component to the northern European weakness for alcohol. But at no point in history have northern Europeans, and the British in particular, been known to drink sensibly — as far back as the early medieval period, continental observers spoke with horror about the Anglo-Saxons and their hopeless drunkenness (indeed many English soldiers got drunk on the eve of the Battle of Hastings; I can’t imagine the sight of 9,000 heavily armed Normans would play well with a hangover). Further back, ancient Greek writers were shocked that the Scythians, the ancestors of today’s Ukrainians, drank their wine neat rather than mixed with water, as moderate Hellenes did. From 1824 to 1889, Brazil had only one constitution; it has had six in the years since. Many of the wealthiest and least corrupt countries on earth—such as Norway, Australia and Holland—are constitutional monarchies, they say. The conservative, mostly bourgeois royalists express disgust at Brazil’s current leftist government and the social changes that have moved the country away from traditional Catholic values. “Without anyone to govern them, man falls prey to his own debilities,” said one speaker at the Monarchical Encounter. Historians are quick to note that Brazil was the last country in the Americas to abolish slavery—Dom Pedro II was overthrown after he lost the support of elites angry about emancipation. Dr. Dias and his counterparts believe Brazil would be steadier if its head of state didn’t have to descend into the partisan fray every four years to run for election. The king or queen would stand as a symbol of national unity and common values, while the dirty work of government would be left to a parliament led by a prime minister. One of the group’s key theories is that a monarch, groomed from an early age to serve the country and all but guaranteed a lifelong mandate, would be less inclined to steal public money. With many of Brazil’s top politicians ensnared in a corruption scandal, the monarchists don’t see any future royalty among the 35 registered parties. Most say the line of succession from Dom Pedro II leads to Dom Luiz de Orleans e Bragança, Dom Pedro II’s 78-year-old great-great-grandson.